UPDATE! 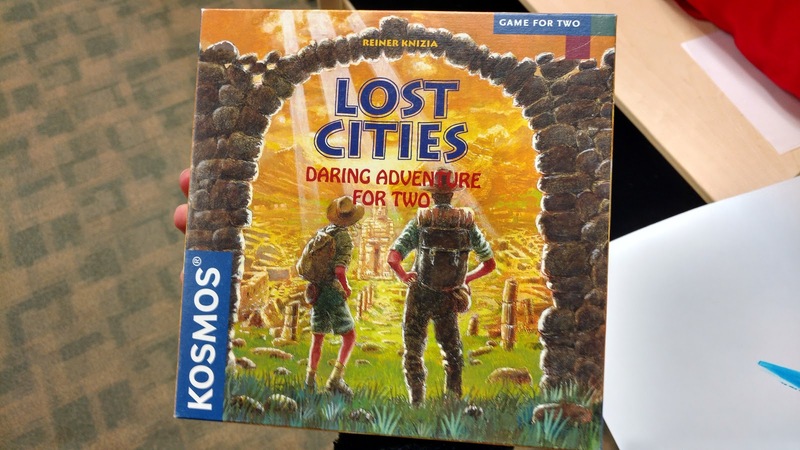 + Herr Kandah is a boss at Lost Cities! Firstly, I (Jane) would like to offer my apologies for not updating the website in several months. We have had a few meetings since the last one posted, although we also had to cancel a few. I don’t think we actually had any meetings in January or February. In the time since I last posted, our president, Max, has gotten a job and so has not been free to organize meetings. I also haven’t heard from Nina in a while. 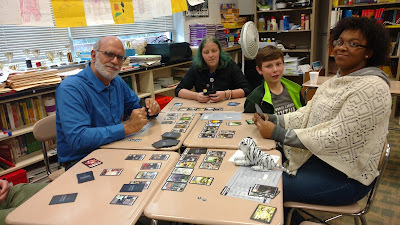 Therefore, despite the wish to be president Nina expressed when we had board elections at the beginning of the year, I have (somewhat) humbly acceded the throne as acting president of Board Game Club. I’m in charge of sending out Reminds about meetings now. Since then, I have organized a few meetings with other clubs. 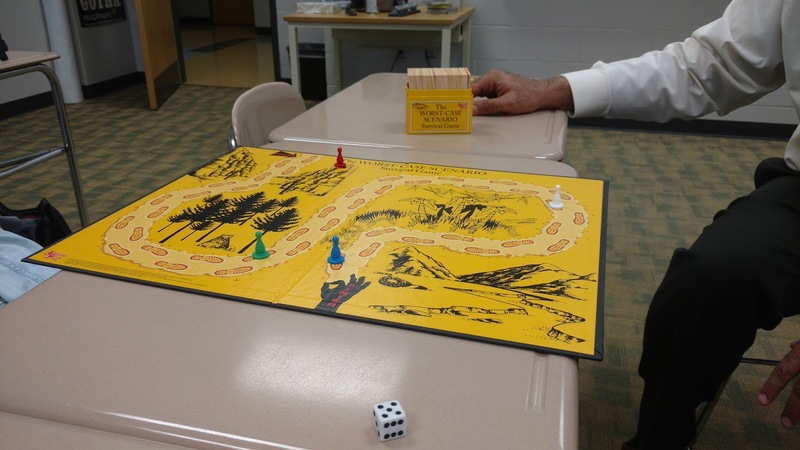 The joint meeting with Gamer's club on December 5th was rather a success; although only one Board Game Club member (shoutout to Zoe R.) attended, everyone from Gamer's club was there, and they appreciated the board games we brought. If you've been checking the Remind, we also had a joint meeting with Japanese club on Thursday, March 30th in Mrs. Fawcett’s room, 601. Her classroom is actually just up the hall from Herr Kandah’s room. Unfortunately, I was the only one there to represent Board Game Club (come on you guys!) but I taught someone how to play Shōgi, which is basically the Japanese version of chess. It is only slightly different and just as much fun. I also brought a couple of decks of anime-themed playing cards which the other members of Japanese club had fun with. Origami paper and instructions were available, and we ate Japanese candy (pocky and hi-chew, to be specific). Our last meeting was Monday, April 2nd, and despite my efforts to send out Remind messages about meetings, I was the only one who came. RIP Board Game Club? At least Herr Kandah and I had the opportunity to duke it out in the card game for two, Lost Cities. Basically each player gets 8 cards and has to try to get the most points in each color category, which are different lands. Because you have to account for the “cost” of the trip, your total for each color is subtracted by 20, so it is possible to get negative points, like I did. Multiple times. We played three intense rounds, and in each he beat me by a long shot. Herr Kandah’s glory lives on! In other news, we still need to figure out who’s gonna run the club next year since Max and I are graduating, so watch the Remind for a board election meeting near the end of the year! Our next meeting will be Monday, April 17th in Herr Kandah’s room, as usual. Have a good spring break board gamers! November 28th, 2016... anybody home? 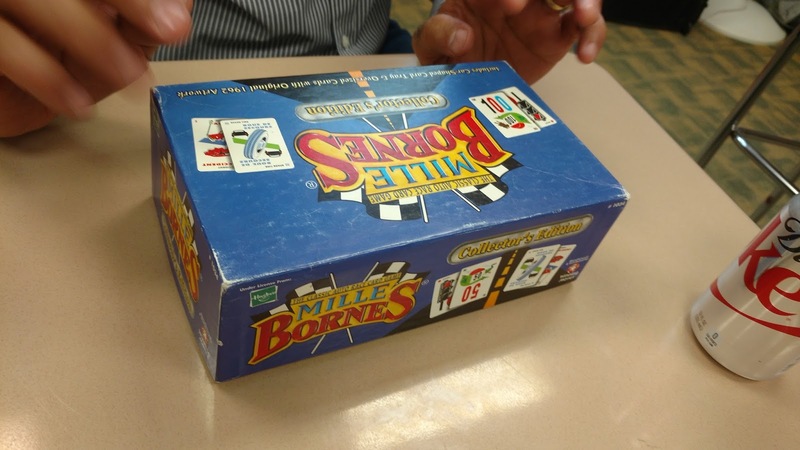 This week, eight people came to Board Game Club! Max, Nina, Jane, & Julian, plus four new people: Nick, Jaylen, Sean and Joey. Max and Nick started playing chess while Nina, Julian, Jaylen and I began a game of Taboo, which is similar to charades but with words instead of motions and you have to describe a word without using it or a few other words listed on each card. Nick won the chess game and Jaylen's friend Sean walked in during the Taboo game and joined Team A (me and Jaylen). Team B, Nina and Julian, won the game by a whopping 17 points--over twice Team A's score. The final scores were 13 points for Team A and 30 points for Team B. The Taboo game lasted a while, and Julian and Jaylen left when it was over. Then Nina and I played an intense game of chess--I won. 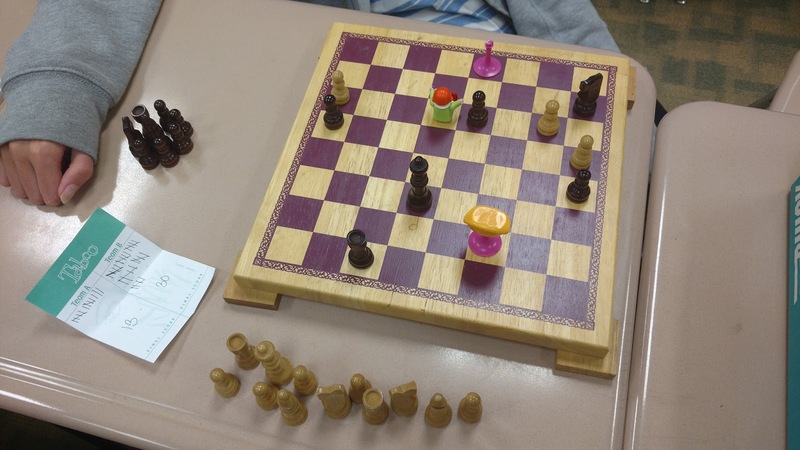 The meeting ended at about 4:10 with the conclusion of our chess game. Congratulations to all of this week's winners! See you at the next meeting, on November 14th! Side note, the joint meeting with Gamer's club has been rescheduled to Thursday, December 8th. It will still be in Mr. Leblanc's room, 2725. At this week's meeting, Max, Nina, Julian, and I attended, as well as a first time attendee, Zoey, and my friend Alexis, the president of Gamer's Club. We played a card game, Race for the Galaxy, and Max beat us all...by a lot. I think it's safe to say he's probably the only one who really understands the rules. Oh, and there was ice cream! Herr Kandah conjured up some leftover Neopolitan & Coffee ice cream. Some random kid walked in, ate some ice cream and watched us play for a bit, and then left. So I guess Board Game Club is growing...Nina walked in late, I think she had band or something, so she just watched us play. Me and Alexis were on one team cause RftG is only a 5-player game, and everyone else was on their own. 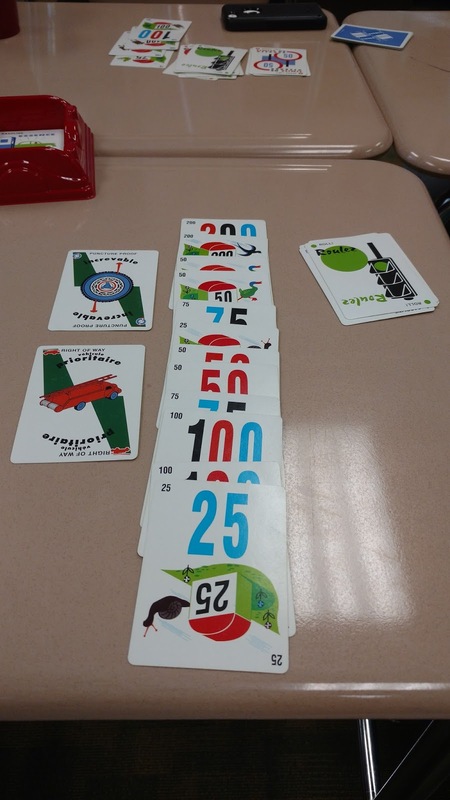 It ended shortly before 4:00 when I reached the limit of 12 cards out on the table. 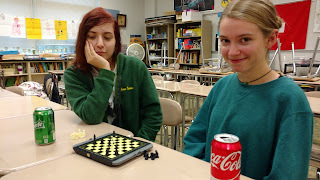 We also discussed having a joint meeting with Gamer's Club in Mr. LeBlanc's room (where Gamer's Club usually meets) on November 3rd, a Thursday. Our next regular meeting is November 7th, in two Mondays. October 3, 2016 Meeting: AYYYY MATEY, SEE YOU AT PIRATE'S COVE! Herr Kandah, carrying on the long-standing tradition of board gaming at Enloe and beyond! Jane wasn't in today, feeling poorly, and we missed her gaming style. So I am writing up today's meeting notes. We played Pirate's Cove, a Days of Wonder, big box adventure game. Max and I played on a team, and the others rigged up their own ships as we sailed around the islands battling for plunder and avoiding the Legendary Pirate, who this time was the Flying Dutchman. Several brave pirates attempted to take him down, and failed. And there were plenty of other battles at hull island, sail and cannon islands, tavern island, and crew island. We couldn't play the entire 12 month adventure, so after 6 months, we counted up our fame points, and declared the Kandah/Max partnership the winner, with Julian a close second. Good Game!!!! next meeting, October 10, 2016 - Monday!! Everyone at the last meeting came to this one too. We had soda and mini cupcakes and we played a French card game called Mille Bornes brought by Julian. The objective of the game was to reach exactly 1000 miles first and we had three teams: Max + Herr Kandah, Nina and I (Jane), & Christopher and Julian. Kudos to the best team™, me and Nina, for winning all three rounds. The next meeting is October 3. Can't wait to get my hands on this game! First meeting of the school year! At today's meeting we had one new member, Julian, come to the club. Max, Nina, Christopher and I (Jane) also attended. We introduced ourselves and our positions. We also discussed making posters & t-shirts and the responsibility of bringing refreshments and decided to either have a rotating schedule or keep it on a volunteer basis. In addition we resolved to have Board Game Club meetings every Monday except for the third week of the month when Herr Kandah has meetings. Then we played The Worst Case Scenario Survival game. The blue team, me & Christopher, won (or, got closest to the finish line, being only one jump away)...The next meeting is on Monday, September 26th. P. S. I know this was really a side conversation but Isabelle Eberhardt is definitely one of my favorite historical figures so if anyone wanted to know more about her, click this.